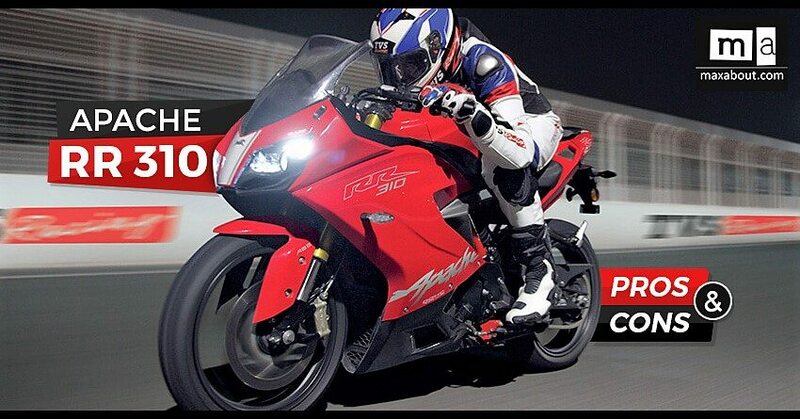 One of the most celebrated sportbikes, Apache RR 310 is available in India for INR 2.23 lakh (ex-showroom Delhi). The only bike that directly rivals KTM RC 390 in the under INR 2.50 lakh segment, Apache RR 310 looks great from every possible angle. Is it something born without a limitation? Let’s find this out! 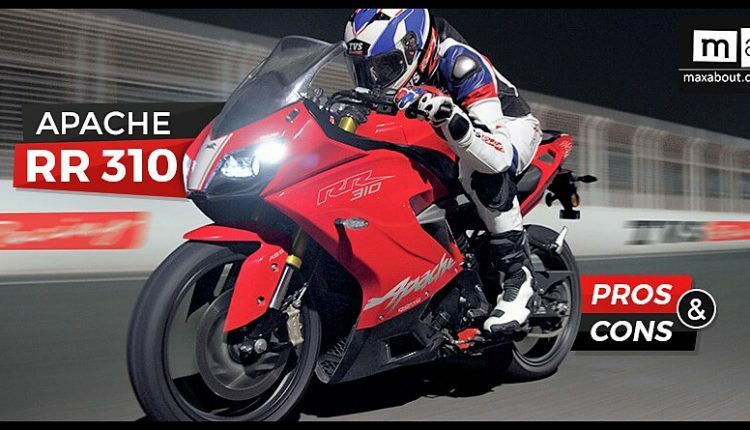 Here is the complete list of pros and cons of the TVS Apache RR 310. TVS has worked hard on choosing the final design and Apache RR 310 is undoubtedly the best-looking motorcycle from the manufacturer. A typical sportbike design is blended along with decently comfortable riding position for maximum fun. Apache RR 310 is the production model based on the Akula 310 concept motorcycle showcased at the Auto Expo 2016. Apache RR 310 is powered by a 312.2cc, liquid cooled and fuel injected engine producing 34 HP at 9700 rpm and 27.3 Nm at 7700 rpm. The engine comes mated to a 6-speed gearbox. This results in 0-100 kmph time of just 7.17 seconds and a claimed top speed of 160 kmph. No more fear of night riding in Apache guys. RR 310 is offered with Bi-LED projector headlights, that too working together in low and high beam (unlike others with one for each beam). It looks premium and works well for all weather conditions. 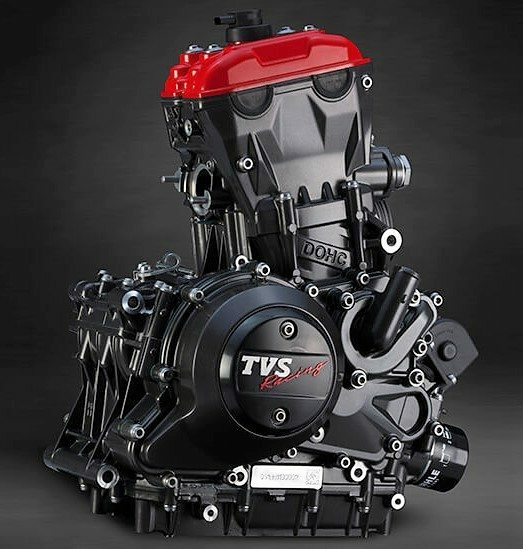 TVS Apache RR 310 comes with a vertically placed console that is clear to read and offers features like gear indicator, digital clock, vertical tachometer, side stand indicator, lap timer, overall range and much more. Apache RR 310 comes with dual channel ABS as standard. The front 300mm and rear 240mm disc brake get enough bite to shred triple-digit speeds. ABS also helps the rider on rough surfaces and odd-road conditions. 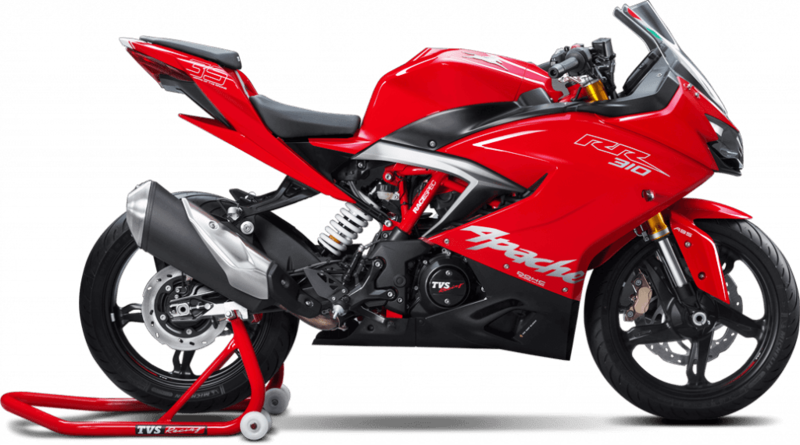 Selected motorcycles in India are offered with sporty USD forks and TVS Apache RR 310 is one of them. Sourced from Kayaba, the forks are 41 mm in diameter and offer crisp track performance for the newly launched sports bike. 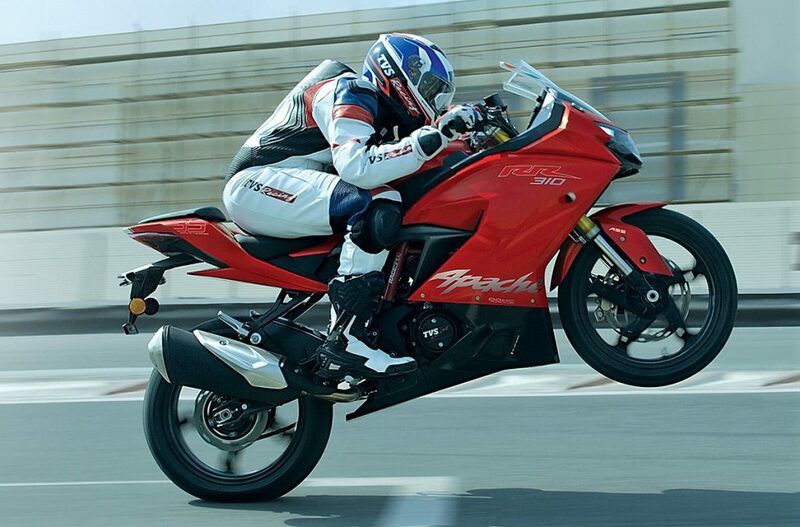 Most fans were expecting a new set of TVS tyres, specially designed for the Apache RR 310 in India. To everyone’s surprise, Apache RR 310 is equipped with sticky Michelin Pilot tyres (110/70 and 150/60) for better track and highway performance. 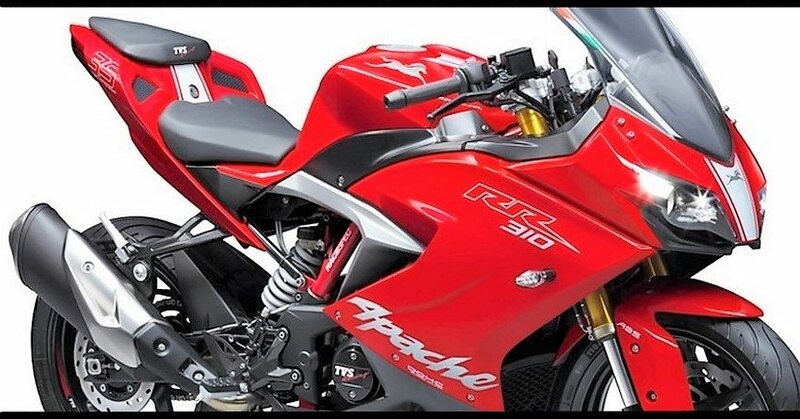 Apache RR 310 was expected to be priced around INR 1.75 Lakh by most fans, keeping in mind that Mojo offered a lot more (Pirelli tyres, dual exhaust), except ABS. The pricing is surely on the higher side, forcing many to rethink their desire of owning one. It would have been better if TVS priced it aggressively to make sure that the price doesn’t cross INR 2 Lakh mark on-road. 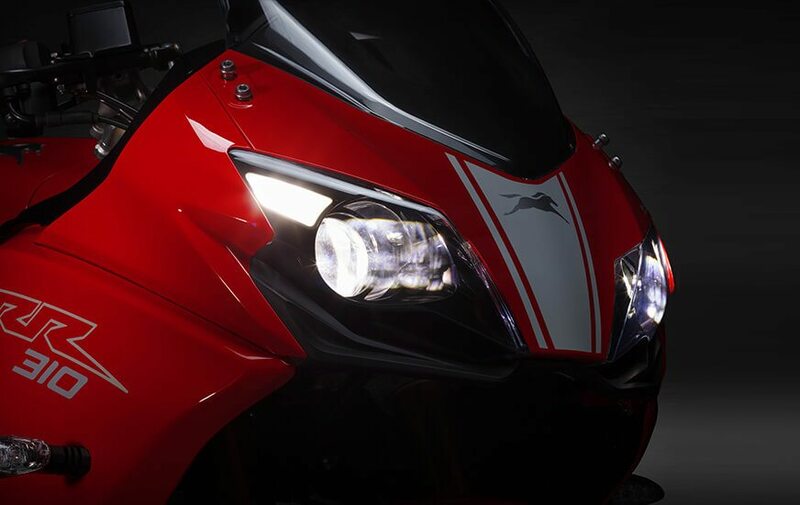 Racing Black and Racing Red are the only two shades available on Apache RR 310. 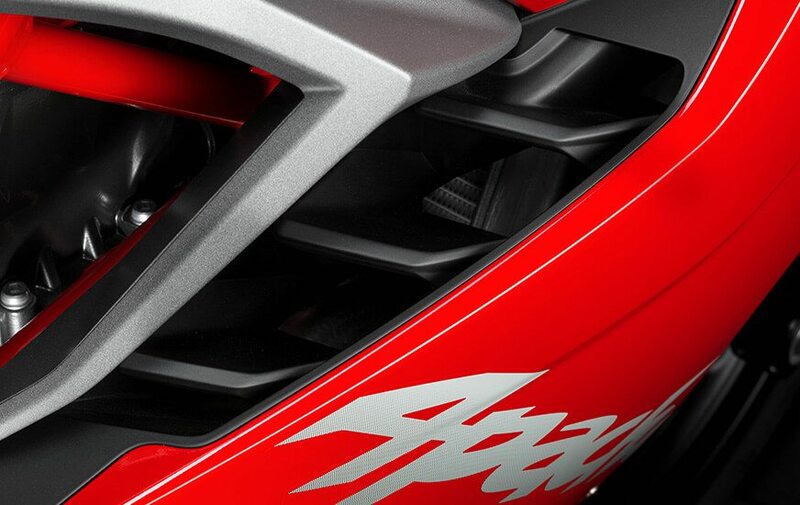 Fans were expecting a wide range of shades like younger Apache siblings (Yellow, Matte Red, Gloss Black, White etc). Just 11 litre of fuel carrying capacity is a major drawback of Apache RR 310. Believe it or not, buyers will have to visit a fuel station after 275-300 kilometres of continuous riding. City riding in heavy traffic will even take the figure down considerably.